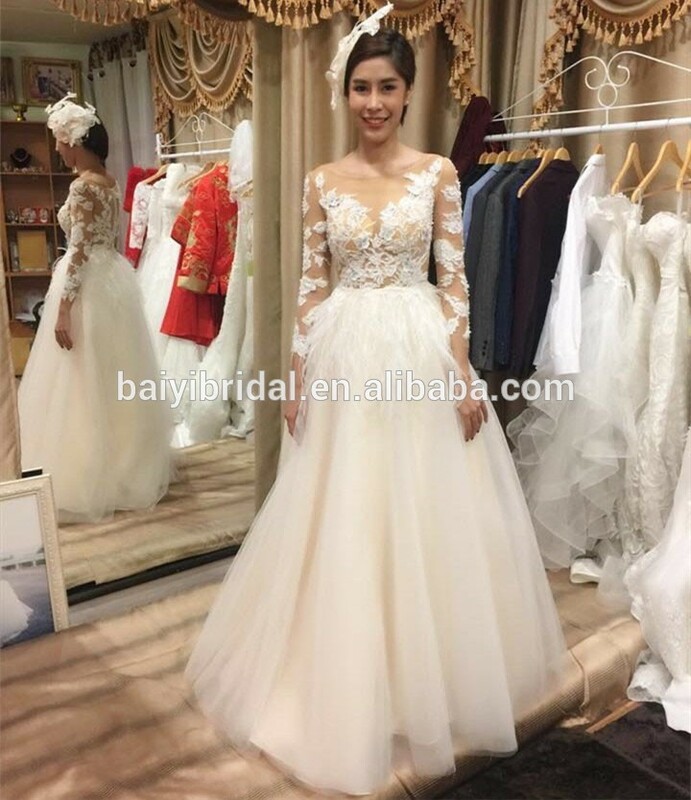 Find Prom Dress, Prom Dresses , Formal Dresses on Industry Directory, Reliable Manufacturer/Supplier/Factory from China. 2、 High quality raw materials. 4、Update new designs every week. 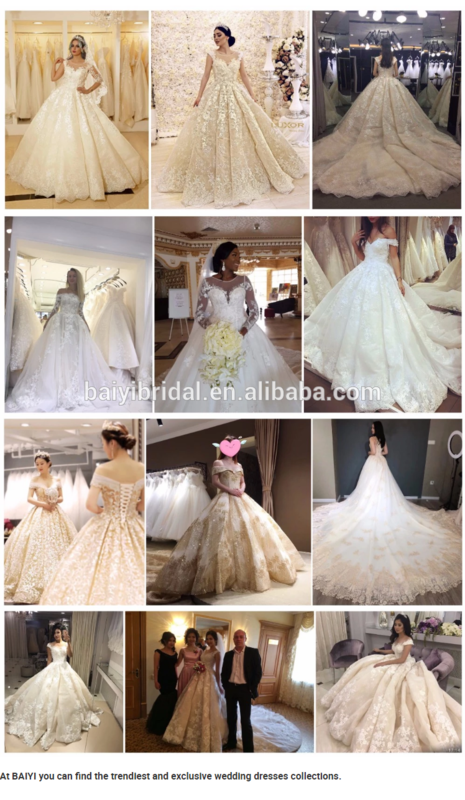 5、Each dress we offer you is unique. 7、Quality guarantee double checked by QC. 8、More than 10 year manufacturing experience. 9、Professional designer team and offering free artwork. 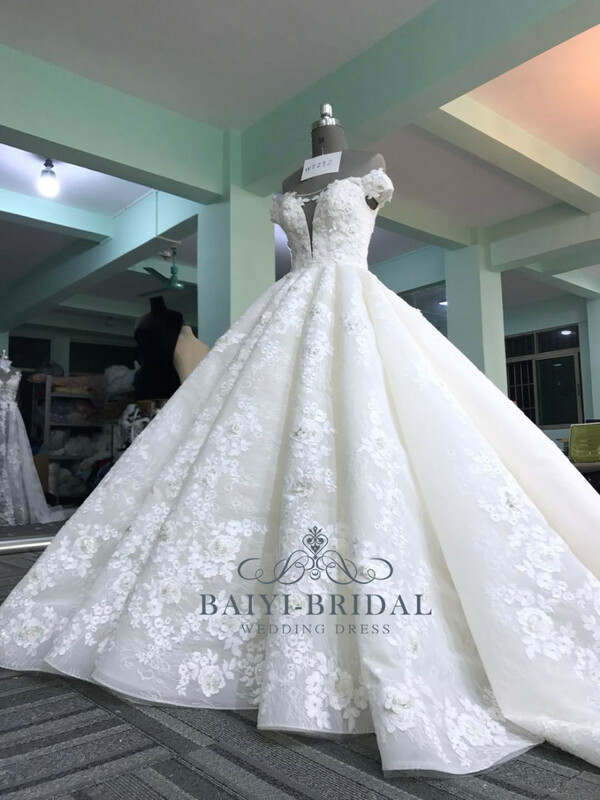 We are a professional factory engaged in this line over 10 years who pay much attention to the dress quality and have competitive price . We have own desinger team, we update new designs every weeek. We have own factory to make sure production delivered on time. 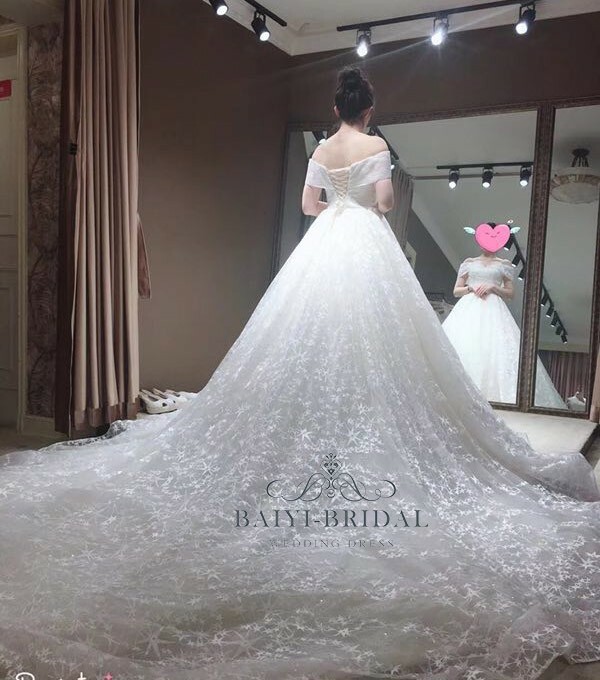 Q: Are all your dresses pictures real? 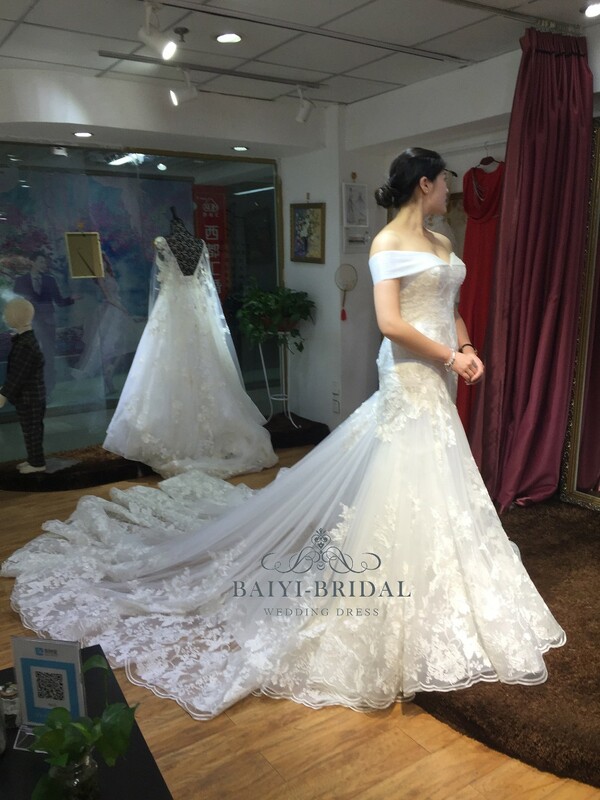 All our pictures are taken from real sample wedding dresses. There are might be different in color, because of the computer monitor settings. With the difference in the measurement method, please allowed 1~2 cm in size deviation. Q: What's your MOQ? Do you accept custom-made, do I need to pay you extra cost for it? 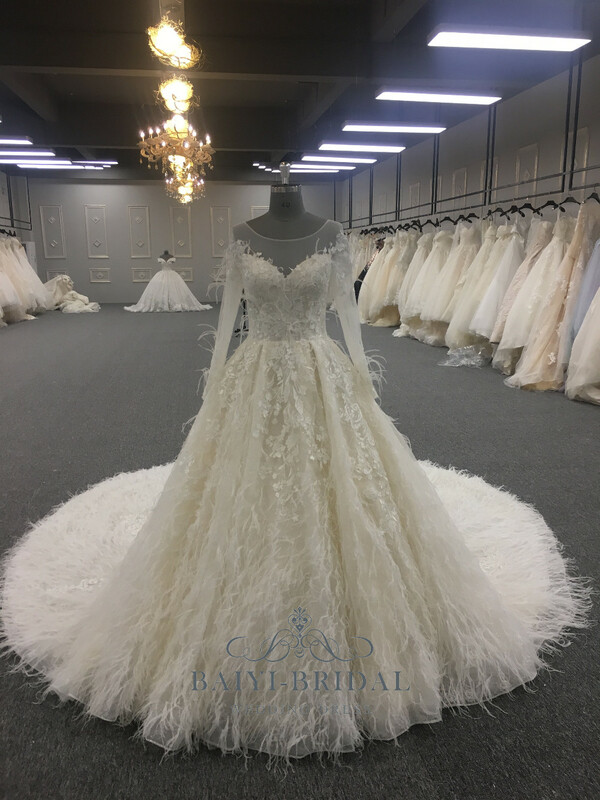 We do not have MOQ for wedding dresses. We accept custom-made service and free charge, usually it will take 25-40 days to finish it. Q : Plus size dresses available ? 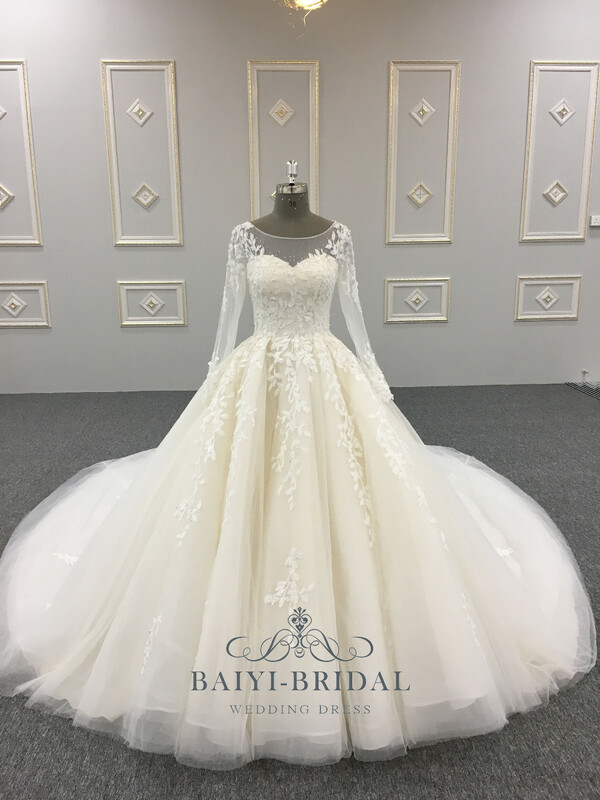 Yes, we make standard size 2 -14W , for plus size we need extra cost 15 USD -40 USD for each. 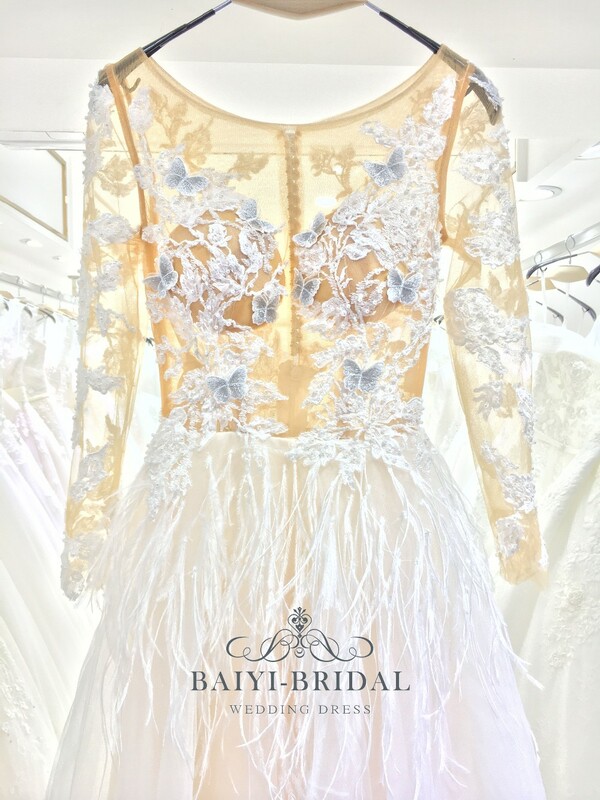 Q : Can I modify your designs,such as add sleeve, change the zipper to lace up, etc? 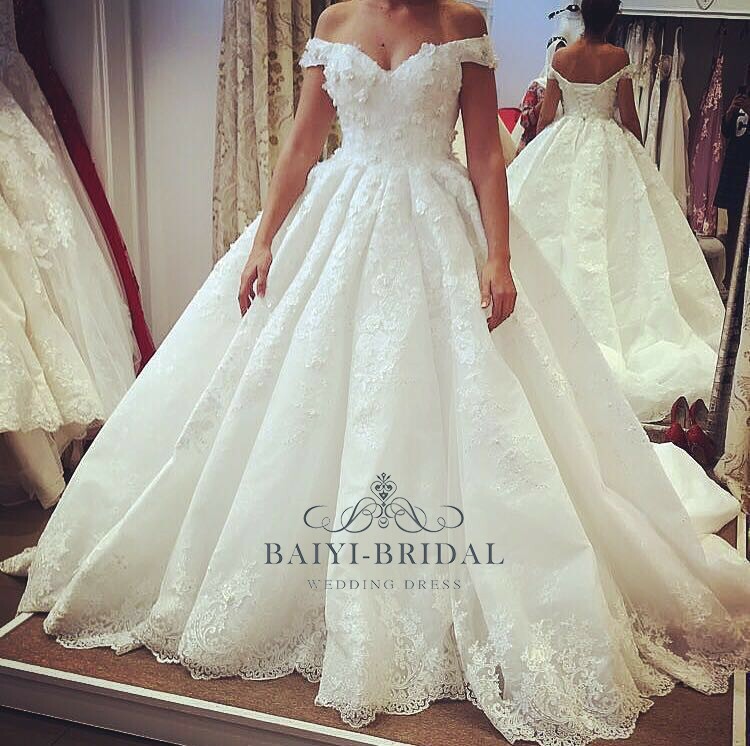 Free charge for small alternation , such as add straps ,add sleeves etc. 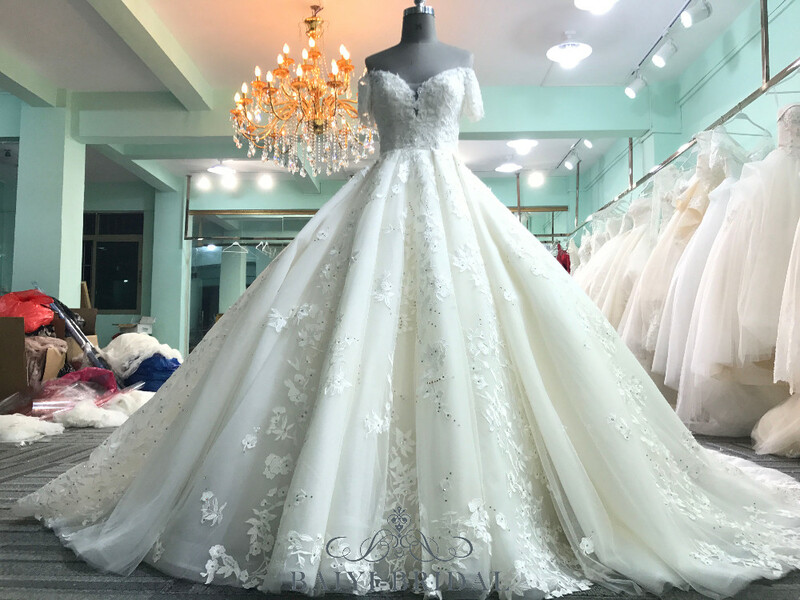 You alco can modify our designs, our designers would check if the dresses can be modified as what you want then tell you extra cost before production started. Q:What's your delivery and payment? It will take 4~6 weeks for few samples; 5~7 weeks for 30-100 pieces regular orders. For small order, need full payment before production. 30% deposit for large amount orders, 70% rest before shipment. 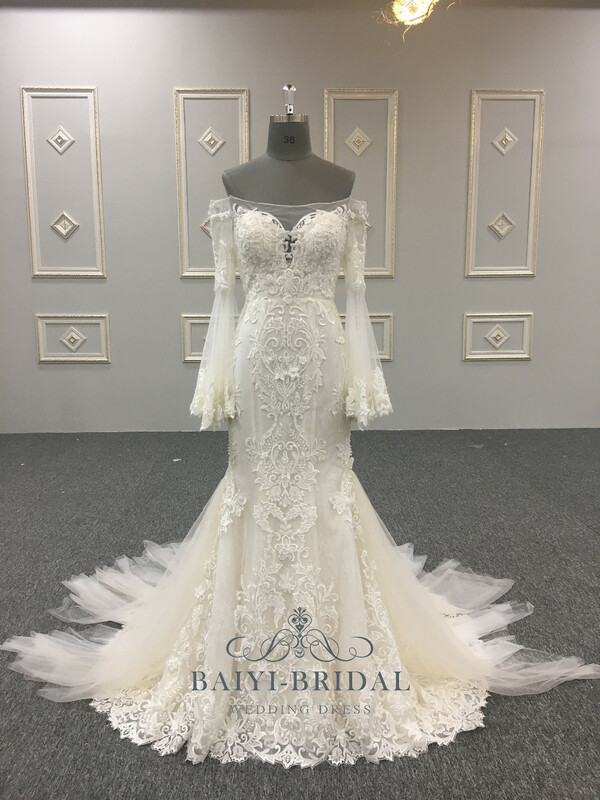 Contact us if you need more details on A-line Wedding Dress. 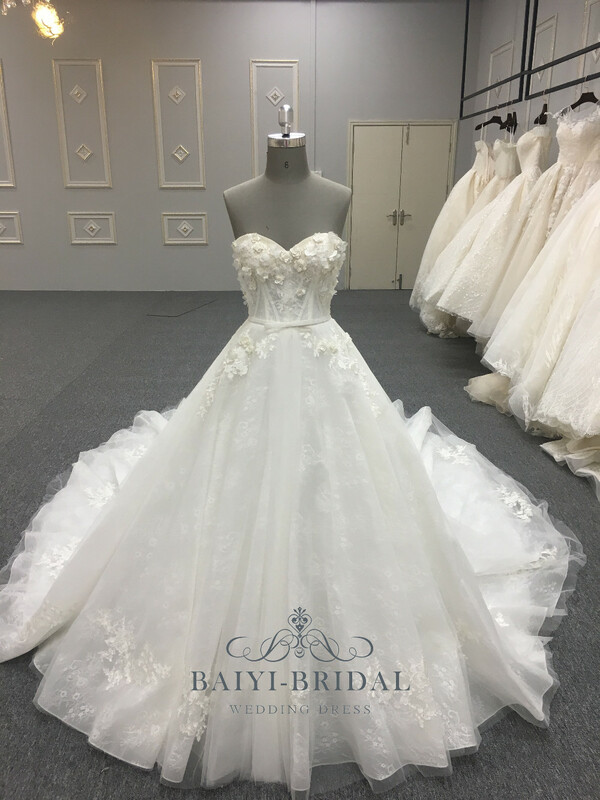 We are ready to answer your questions on packaging, logistics, certification or any other aspects about A-line Wedding Dress、A-line Wedding Dress. If these products fail to match your need, please contact us and we would like to provide relevant information.